The end of the Cold War witnessed intensification of intrastate conflicts in the West African subregion. Prior to this era, the West African subregional body, Economic Community of West African States (ECOWAS), had used traditional conflict resolution mechanisms to resolve conflicts. These notwithstanding, with the outbreak of conflict in Liberia in November 1989, ECOWAS employed ECOWAS Ceasefire Monitoring Group (ECOMOG), a military intervention force, in August 1990 as another conflict resolution mechanism. The end-state of ECOMOG was to stop the carnage, destruction of property, and create the conditions for diplomacy and dialogue to be employed hopefully resulting in a long-term political settlement. Since then, ECOMOG has been employed on four subsequent intervention operations in the countries of Sierra Leone, Guinea Bissau, Cote d' Iviore, and Liberia for a second time. 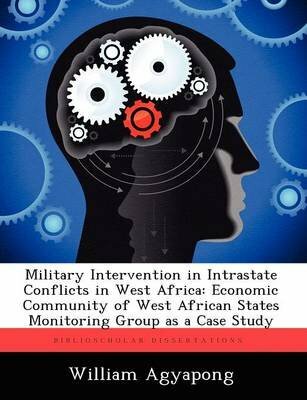 This study analyses why ECOWAS continues to employ ECOMOG as a key element of the conflict resolution process, the possibility of ECOMOG becoming a standing force, the policy implications and examines ways of making the force more effective and relevant to the subregion. Some of the key conclusions of the research are that ECOMOG intervention operations will continue. Therefore, the ECOWAS Secretariat and ECOMOG Force needs to take determined action toward making the force more effective and relevant for the subregion.